The gesture comes at a tense time in Canada-U.S. softwood lumber negotiations. Raw lumber moves into the saw mill at the Resolute Forest Products facility in Thunder Bay, Canada, Ontario, on Friday, Jan. 8, 2016. MONTREAL — Texans forced from their flooded homes by unprecedented water levels may get help rebuilding from a Canadian forestry company. Seth Kursman, a vice president with Resolute Forest Products, has committed to sending a rail car full of lumber to Houston once the storm-battered city begins to recover from the devastation wrought by hurricane Harvey. Watching footage from the storm-drenched city hit close to home for Kursman, who moved to Canada from Houston 15 years ago. "I just can't imagine the devastation," he said, noting he saw images of his old neighbourhood, flooded, on the news. "I was really personally moved." People have been using their personal boats to rescue neighbours trapped by the rising waters, a scene Kursman compared to the recent Hollywood war drama, Dunkirk. Wanting to help, he called the Montreal-based company's CEO, Richard Garneau, and suggested they prepare to send a truck filled with lumber to the beleaguered city once the flood waters subside. 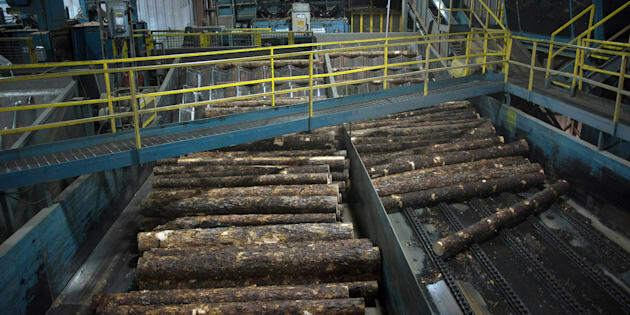 Resolute's main products are paper and pulp, Kursman said, but he thought lumber would be of more use to the struggling communities. "He said 'Forget a truck! Send a rail car,'" Kursman said. "I mean, that's a lot of money worth of lumber." The former Texan said he's already spoken with politicians in both Houston and the U.S. government who have expressed appreciation. The gesture comes at a tense time in softwood lumber negotiations between Canada and the United States. Canada's ambassador to Washington said last week that the country could pursue legal action in the lumber fight if ongoing talks for a new softwood deal stall. The two countries are also currently discussing a new North American free trade agreement with Mexico. But Kursman said those talks are separate from his company's desire to help people in Houston. This is probably years worth of effort upcoming. And we need to step forward. "Sometimes it's really important to put politics aside and just deal with real-world need. And that's what we're doing. And we encourage others to follow," he said. It's unclear when, exactly, the shipment will be sent, but Kursman said he wanted to get out the word that the company is willing to step up. He hopes other lumber companies across North America will do the same. "There is going to be a lot of rebuilding," he said. "And it's not something that takes a day or a week or a month. This is probably years worth of effort upcoming. And we need to step forward."